What is a Heli-Hiking Vacation? Heli-hiking is spectacular. Let’s start there. On a heli-hiking vacation not only do you get to explore Mother Nature’s majesty up-close on the trail, your helicopter flight will give you a birds-eye-view as endless acres of old growth forest, rivers and wetlands unfold into towering peaks and vast glaciers as far as the eye can see. 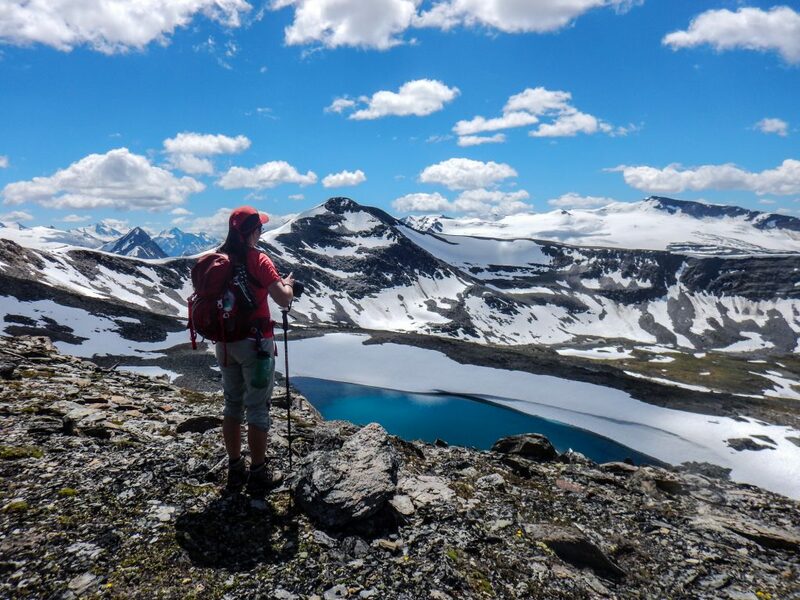 Like heli-skiing, heli-hiking has become super popular in recent years with people who want to really get-away and escape into Canada’s true wilderness. 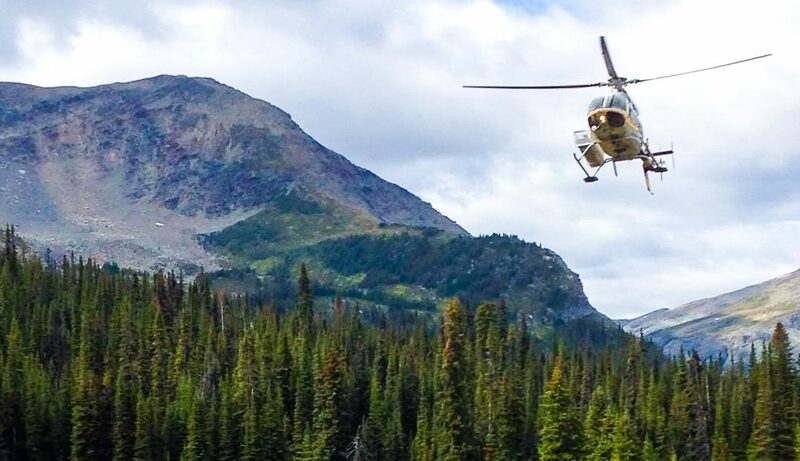 But what exactly is it and who should consider taking a heli-hiking vacation in BC? Heli-hiking is where hikers are flown into remote backcountry areas that would normally not be accessible by foot. What should I expect on a heli-hiking vacation? 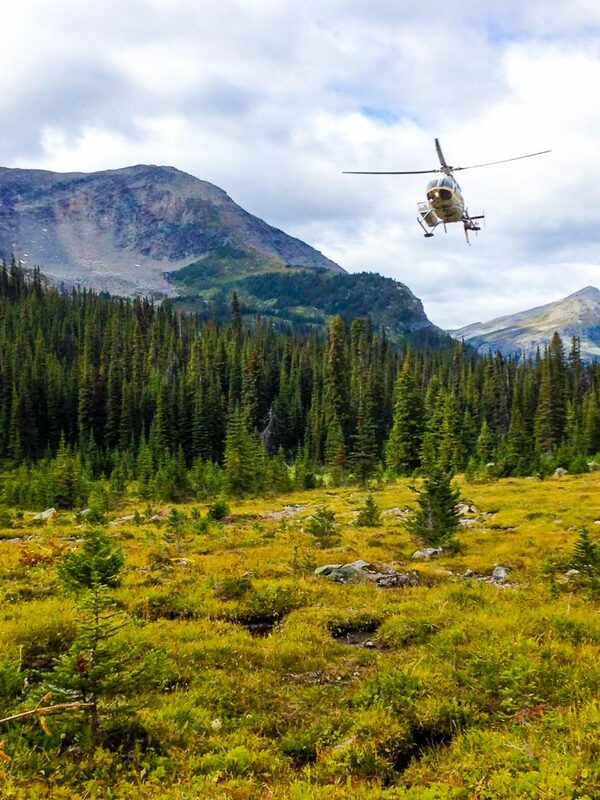 At the Canadian Adventure Company, we offer the first type of heli-hiking listed above. We fly our guests from the valley bottom in Valemount up to an elevation of 1900m where a network of alpine hiking and scrambling trails await. Then at the end of your stay, we fly you back to civilization where your adventure began. 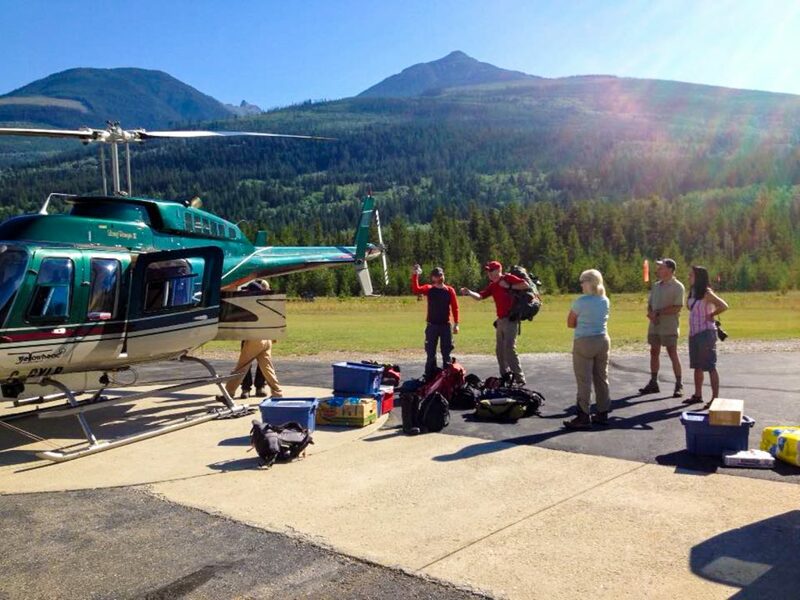 On the first day, our helicopter will pick you up from our helipad in Valemount, BC. From there you’ll be flown 77km southeast following the path of the historic Canoe River, the natural boundary between the Monashee Mountain Range and the Canadian Rocky Mountains. Our helicopter will drop you off at our alpine lodge (our tenure borders Jasper Provincial Park) which will be your home and your base for exploring the most westerly aspect of the Rocky Mountains during your stay. The lodge’s 1900m, sub-alpine elevation offers a unique opportunity for hikers to get to the goods, fast – and all the trails begin right at your doorstep. Here you can hike at any pace and set off early or take it leisurely. There is no hurry to beat the crowds because we host a maximum of 8 people at a time. And groups as small as 1 or two people can book exclusive use of the lodge for their vacation. We have a range of intermediate to advance hiking and scrambling routes, making us the perfect wilderness lodge hiking experience for everyone from mixed-ability groups and families to seasoned veterans. How far or how high you go is up to you. Spend all day exploring the peaks and then meander back to the lodge at the end of the day to enjoy good food, wine, and a well-earned rest. How much does a heli-hiking vacation cost? A week-long trip can either be anywhere from just over $2000 with us at the Mallard Mountain Lodge, to north of $5000 with other operators. 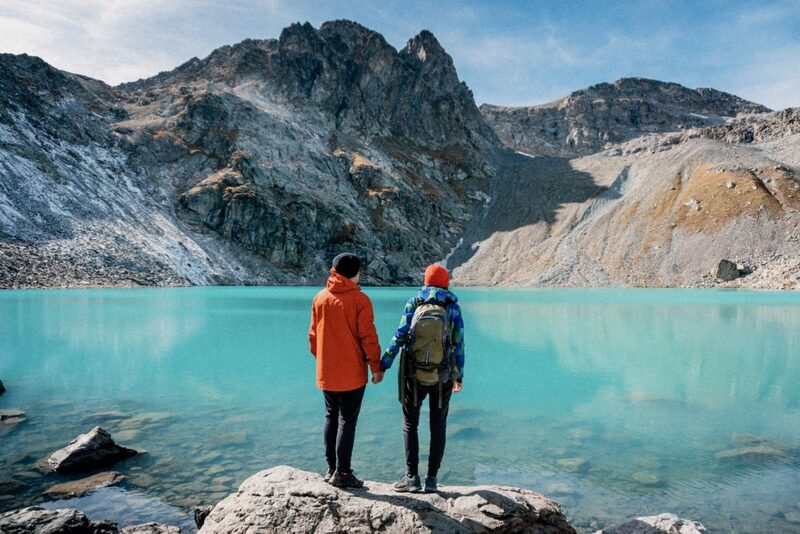 The cost, like your heli-hiking vacation, is completely customizable and the price is primarily based on which type of heli-hiking vacation you choose e.g. if, on your vacation you want to be flown in and out of every trailhead the cost of multiple heli-rides will push the price up. An alternative for hikers who want to experience a mostly human-powered adventure is to only use the helicopter to do the hard work of getting you and all your gear from the valley to the alpine and back again. 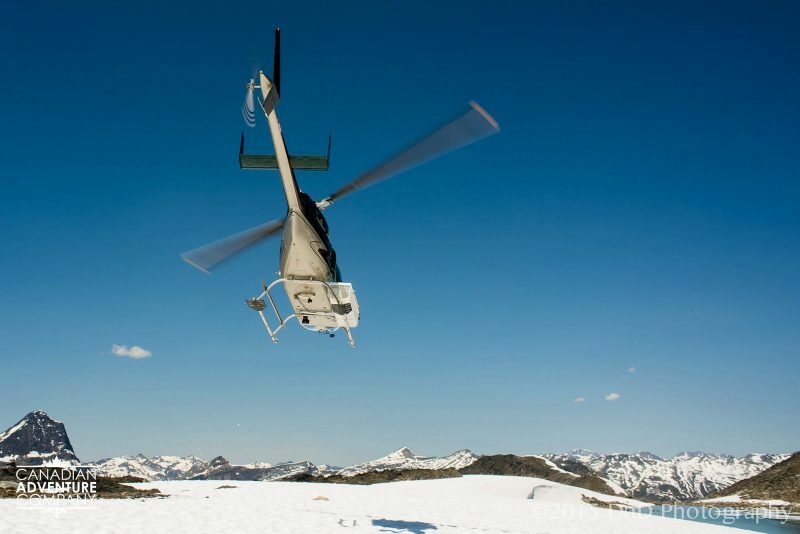 Who should take a heli-hiking vacation? Everyone! And we’re not just saying that because we spend every summer here. Here are a few examples of the types of groups and individuals that have enjoyed a heli-hiking vacation with us here in the Canadian Rocky Mountains. Hiking is a fun family activity that gets everyone outdoors. 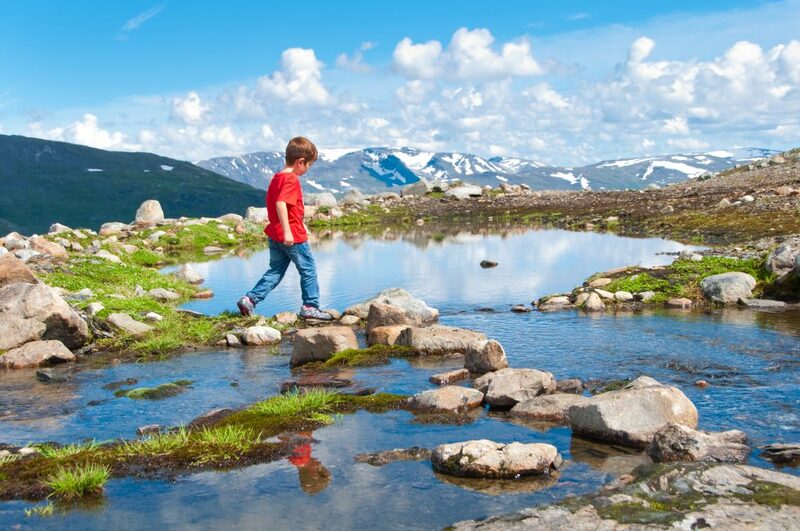 Our hiking vacations are tailored to your family’s fitness and experience, and how far you go or how long you spend skipping rocks on the lake at lunch is entirely up to you. For families with a mix of young children and experienced adult hikers, a heli-hiking vacation is a perfect way to still get those breath-taking views without the elevation usually required on foot. It’s also great for fostering teamwork as you route find and navigate your way from point-to-point. There’s also the down-time spent at the lodge playing games (maybe the guitar), talking, and cooking meals together if you choose our self-catered vacation package. Tip for families: your stay at the Mallard Mountain Lodge can be self-catered or fully-catered, and all allergies and dietary requirements can be accommodated. On top of that, we’re all aware of the health and wellness benefits of spending extended time in Nature. According to a scientific study cited by the BBC “children exposed to the natural world showed increases in self-esteem. They also felt it taught them how to take risks, unleashed their creativity and gave them a chance to exercise, play, and discover”. There’s something to be said for the satisfaction and feeling of accomplishment that comes from a solo hike. 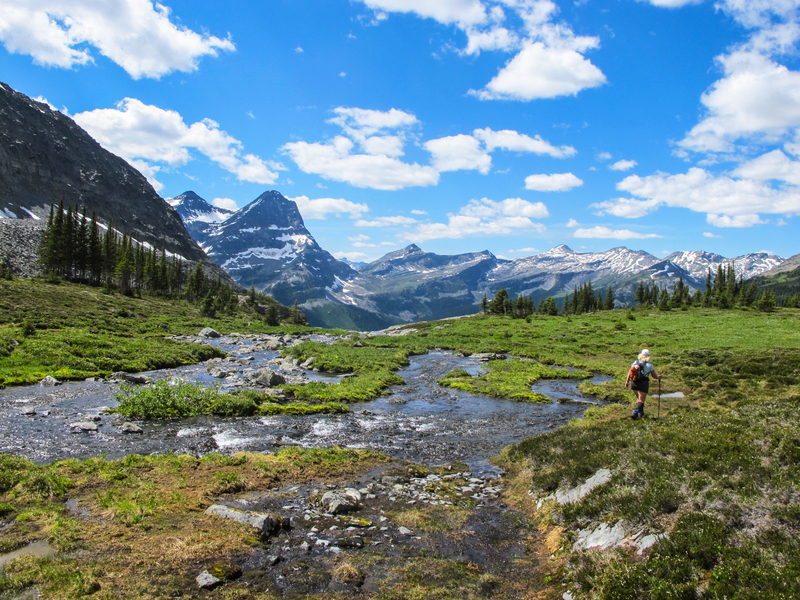 Heli-hiking vacations with the Canadian Adventure Company can be self-guided or fully-guided, leaving from the Mallard Mountain Lodge each day. If you’re new to solo trips and curious about the exciting world of hiking and scrambling solo, a heli-hiking vacation with a guide showing you the ropes is the perfect introduction. Our professional guides can help you plan how to pack the perfectly stocked hiking pack, show you map reading and route-finding techniques, as well showing you all the very best photo spots. Tip for solo travellers: Fancy having your own private wilderness escape? Individuals can have private, all-inclusive use of the lodge for 3 nights for only $1,976 CAD – including meals and guide. When you’re starting from lower elevations there is only so far you can go in a weekend, booking a heli-hiking vacation takes your hiking trip to new heights. It’s a great idea for groups who want to celebrate a special occasion in style (or just celebrate the weekend) with an epic experience. Heli-hiking provides a way for hikers get deeper and further into the backcountry in a shorter timeframe. Tip for groups: Groups of 6 or more automatically have private use of the Mallard Mountain Lodge for the duration of your stay.